The NRA has remained quiet while legislation to nullify federal gun laws has been introduced in dozens of states. 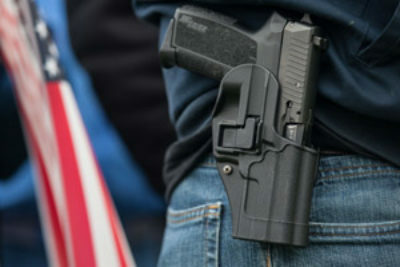 In mid-April, Kansas passed a law asserting that federal gun regulations do not apply to guns made and owned in Kansas. Under the law, Kansans could manufacture and sell semi-automatic weapons in-state without a federal license or any federal oversight. Kansas’ “Second Amendment Protection Act” backs up its states’ rights claims with a penalty aimed at federal agents: when dealing with “Made in Kansas” guns, any attempt to enforce federal law is now a felony. Bills similar to Kansas’ law have been introduced in at least 37 other states. An even broader bill is on the desk of Alaska Gov. Sean Parnell. That bill would exempt any gun owned by an Alaskan from federal regulation. In Missouri, a bill declaring federal gun laws “null and void” passed by an overwhelming majority in the state house, and is headed for debate in the senate. Mobilizing the pre-Civil-War doctrine of “nullification,” these bills assert that Congress has overstepped its ability to regulate guns — and that states, not the Supreme Court, have the ultimate authority to decide whether a law is constitutional or not. Many observers see nullification bills as pure political theater, “the ultimate triumph of symbolism over substance,” as UCLA law Professor Adam Winkler put it. He said he doubts the laws will ever be enforced, and, if they are, expects them to be struck down by the courts. But the growing number of such bills -- which have passed by large majorities in at least one chamber of seven state legislatures--highlight the challenge gun control advocates face in their attempt to fight for gun regulation at the state level. It also shows how nullification is fast becoming a mainstream option for state politicians. In Pennsylvania, 76 state legislators signed on to sponsor a measure that would invalidate any new federal ban of certain weapons or ammunition. The bill would impose a minimum penalty of one year in prison for federal agents who attempt to enforce any new law. The Supreme Court rejected nullification in 1958, after Southern states tried to use the concept to avoid desegregating public schools. “No state legislator or executive or judicial officer can war against the Constitution without violating his solemn oath to support it,” the Court ruled. The concept of nullification has had a resurgence since the beginning of President Obama’s administration. More than a dozen states have introduced bills to nullify Obamacare. The Tenth Amendment Center, a group that advocates nullification as the solution to a range of policy issues, from marijuana legalization to Obamacare, publishes model gun nullification language. The center has little direct contact with state legislators, Michael Boldin, the center’s founder, said. 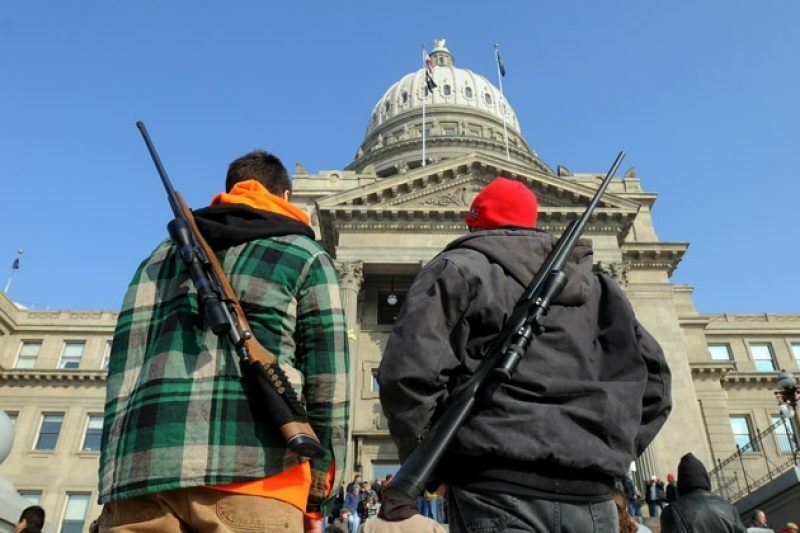 The roots of guns law nullification trace back nearly a decade. The day the Montana law went into effect, Marbut filed a lawsuit in federal court asserting the right to manufacture weapons in the state without a federal license. The suit, now before the Ninth Circuit Court of Appeals, has been backed by a large group of supporters, including Gun Owners of America, the Second Amendment Foundation, the Cato Institute, the Goldwater Institute, and a group of nine attorneys general, some of them from states that had passed their own versions of the Montana law. Representatives of Goldwater and the Cato Institute said they see the case as not primarily about guns. Instead, they say, it’s meant to persuade the Supreme Court to rollback the Congress’ power to regulate commerce within a state. “The likelihood of victory is low,” said Trevor Burrus, a research fellow at the Cato Institute’s Center for Constitutional Studies. The latest set of bills — including Kansas’ new law —represent a far broader and more aggressive challenge to federal law. Even conservative organizations have been skeptical of the trend. “A state law that criminalizes federal activity — I would oppose that as both imprudent and wrong,” Burrus said. The Cato Institute’s chairman wrote an op-ed this spring arguing this kind of nullification is invalid. States should only pass laws challenging federal power "when there is a reasonable legal argument for sustaining them," he said. And the penalty for enforcing federal law in "hard cases" should be "a misdemeanor at most." The Montana activist whose helped inspired the nullification movement Kansas is also a bit skeptical. While he simply chose to challenge the federal government’s commerce power, Kansas is “bucking federal power more generally,” he said. “I think, maybe tactically, they may have gone a little further than they needed to,” Marbut said. But Marbut hopes that the rapid spread of gun law nullification bills across the country will encourage the Supreme Court to hear his case. In Kansas, Patricia Stoneking, the president of Kansas State Rifle Association, said she was recommending that Kansans not start manufacturing guns under the new law until its legal status has been clarified.